It’s time to lace up those sneakers and step with purpose to support the one in 100 (or 40,000) children in the United States who are born with a congenital heart defect (CHD) each year. These 40,000 annual cases make congenital heart defects the leading cause of illness and death in the first year of life. 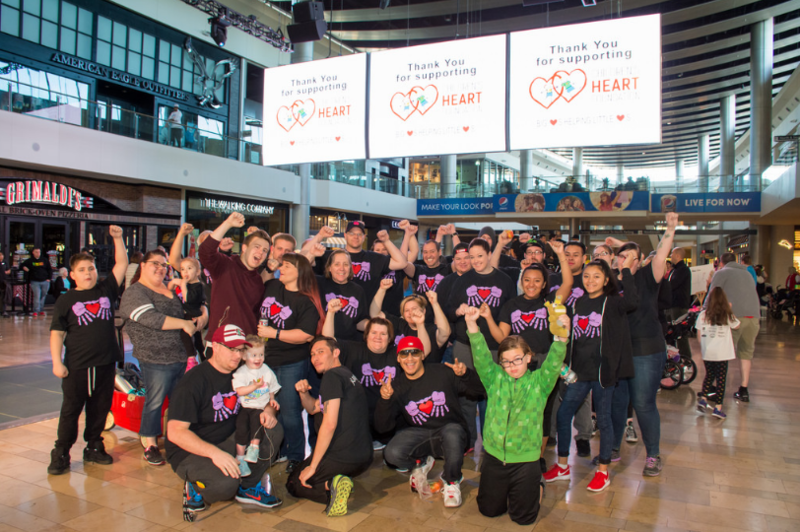 Aiming to raise both awareness and much need funding to fight what can be a deadly pediatric disease, Children’s Heart Foundation invites all Las Vegans to participate in the 16th Annual Walk with the Heart of a Child on Saturday, Feb. 23, 2019. This annual fun walk through Fashion Show allows participants to walk in celebration or in remembrance of the young lives affected by congenital heart defects throughout the Las Vegas community. The morning of fun and awareness kicks off at 7 a.m. with registration, entertainment, raffles and the popular Kids Zone, with the walk beginning at 8 a.m., followed by the raffle and awards ceremony at 9 a.m. Online registration can be found at www.chfn.org/walk. Fees are $25 for adults and $15 for active-duty military, students, seniors and virtual walkers (those who cannot attend the event or physically participate). Sponsorships are also available.